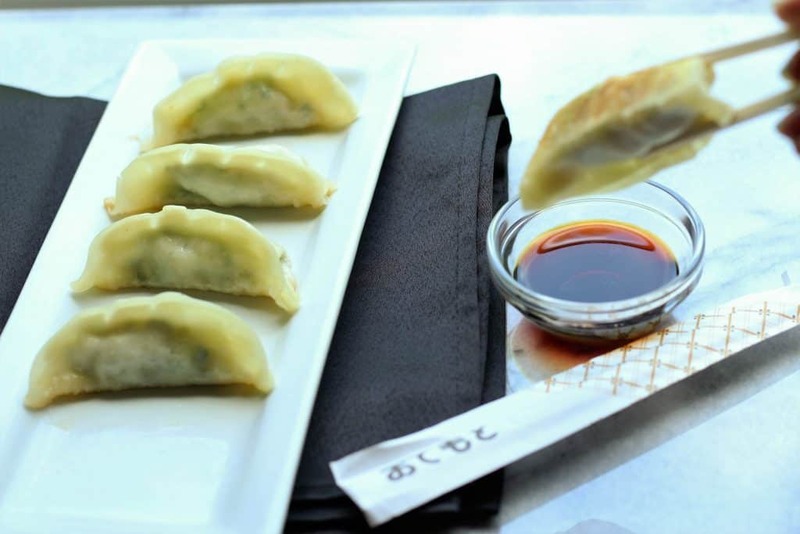 The verdict: When I go to my favorite Japanese restaurant, gyoza is always my appetizer of choice. However, like all things when going out, you are paying a premium. For $4.79 you are getting about 15 dumplings which is about three times the number of dumplings you could hope for in an appetizer. Unfortunately, this bag did not exactly make me want to replace my typical order. Now, on the taste front, it wasn’t bad. Sadly, when I think of Thai food, I think of freshness and heat. While the center of this reminded me of a spring roll with its cabbage and green onions, there was no form of heat here whatsoever. It did not remind me of pad thai or anything else Thai at all. That was my greatest disappointment here. 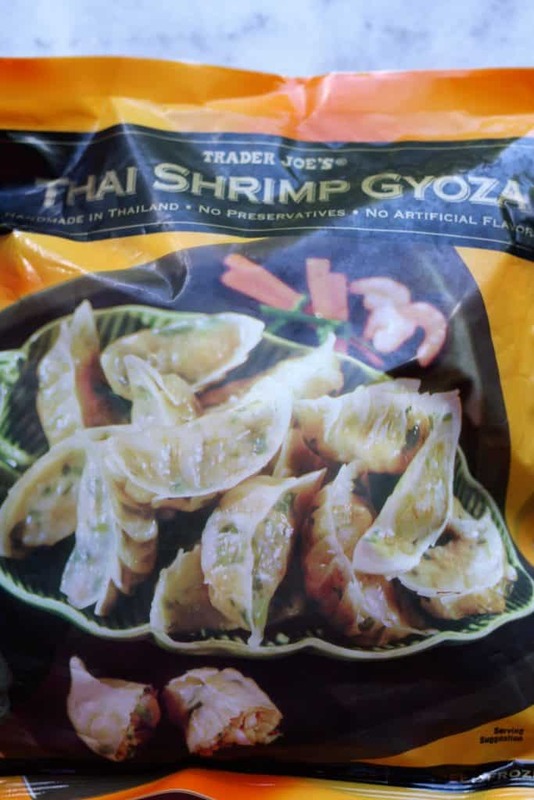 I recently tried Trader Joe’s Shrimp Spring Rolls and what made the successful was the added sauce. Without the sauce, that product was as bland as can be. Likewise, without my soy dipping sauce, these too are bland as can be. The shrimp was chopped very fine, so it didn’t add much on the texture front. 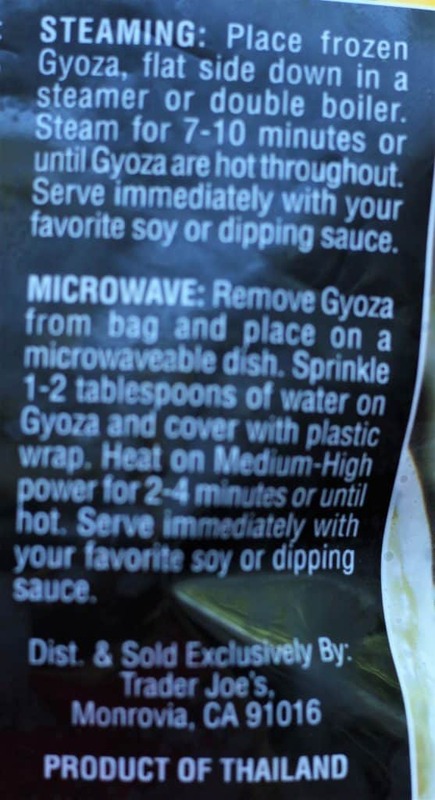 Now, as a point of reference, I’ve tried other varieties of gyoza, please don’t put these in the microwave. They will likely come out rubbery. 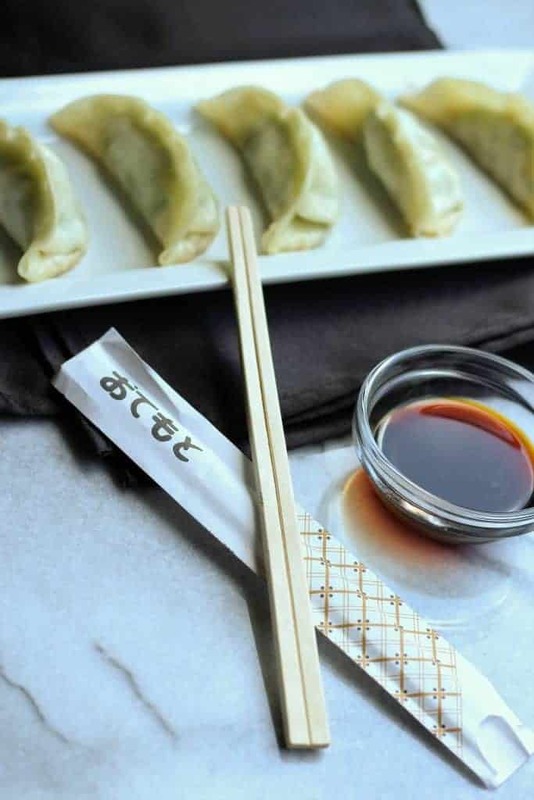 One of the highlights of having gyoza is the texture of the crisp noodle wrapper and the texture from the filling. If you microwave it, you just won’t experience that. Overall, if you put together a killer dipping sauce with this, its shortcomings can be overlooked. Otherwise, I’ll pass on buying this again in favor of another variety. 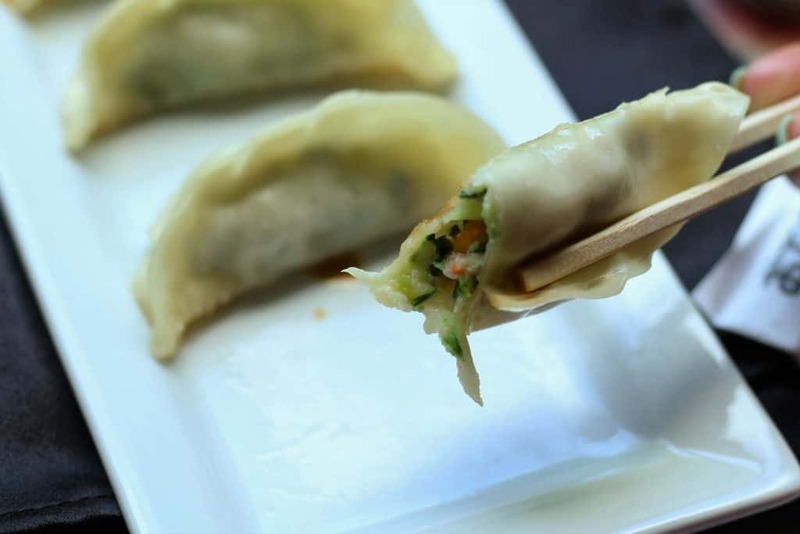 If you’ve tried other varieties of gyoza, then stick with those as there isn’t much “Thai” in this other than where they were made. Would I buy this again? No. This was very bland. When I hear Thai, I think of spice, but this was as bland as Trader Joe’s Shrimp Spring Rolls without the sauce. I steamed a batch of these last night and while I was very pleased with the texture, I’d agree that the flavor was definitely lacking. I also made TJ’s Tempura shrimp last night – the one that comes with too much sauce, we dipped the gyoza into that sauce, paired well! Happy new year! Hey Natalie! Glad you stopped by and shared your thoughts on it. Happy New Year to you as well!